We had a couple of cooler days last week which I took as a perfect opportunity to cook something I would normally only make in winter. 1. Heat the oven to approx 170 degrees Celsius. 2. While the oven is heating up, peel both apples, then core them. Slice into 4 horizontal pieces. 3. Line a small baking tray with foil, then baking paper. Put all the apple in then scrunch up so minimal heat can get out. 6. Take apples out of the oven, lay on a plate, then sprinkle over cinnamon & ginger. 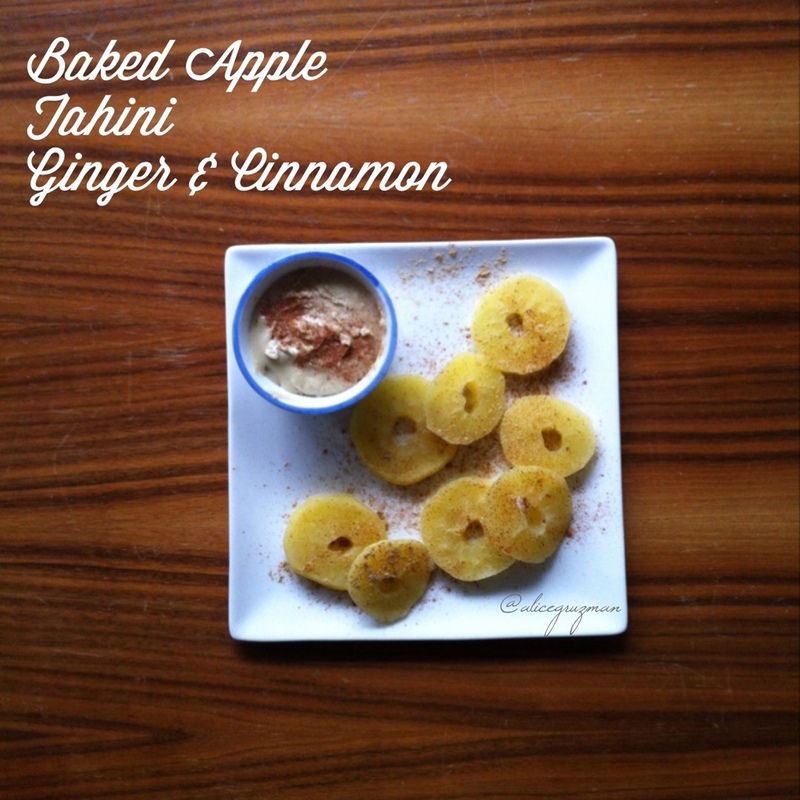 This entry was posted in Nutrition, Recipe and tagged Apple, tahini, vegan by 6 Clean Ingredients. Bookmark the permalink.